Enter to win a chance for a true California Dream! We cannot thank TravelStore, Nancy Rosen and Associates (Luxury Hotel and Resort Representation), The Resort at Pelican Hill and The Ranch at Laguna Beach enough for their generosity for this incredible opportunity drawing for our spring event, California Dreamin’. Visit https://lascandalistas.org/events/2019se/ to purchase event and/or opportunity drawing tickets. Our event is Thursday April 25th, 2019. Limited availability! Spa, Golf, Shop, Eat, Sip, Sand and Sun for Two! Winner need not be present. You do not have to attend our event to purchase opportunity drawing tickets. Stay in a Creekside Studio – 600 square feet plus a patio or balcony with creek and/or canyon view. Includes breakfast for two at Harvest and one round of golf. Stay in a Bungalow – 847 square feet with fireplace and private terrace. Includes breakfast for two and a $500 resort gift card for spa, dining or shopping. *Winner can use consecutively or enjoy separately. 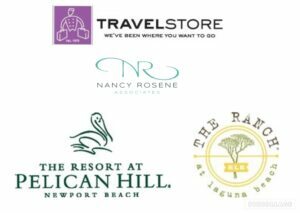 Package is courtesy of The Ranch at Laguna, The Resort at Pelican Hill, Nancy Rosene and TravelStore. All proceeds go to Las Candalistas philanthropies. The Ranch at Laguna Beach: Not available on Friday’s, Saturday’s or Holidays. Expires February 28, 2020. The Resort at Pelican Hill: Reservations required within 90-days of intended arrival date. All reservations based on availability. Some restrictions and blackout dates may apply with major restrictions during summer months. Not valid during special events, holidays or holiday weekends. Expires April 30, 2020. Note: All effort has been made to disclose any restrictions on the use of the prize package. Tickets sold online will be transferred onto ticket stock, so all tickets entered in the drawing will be uniform.